Generally speaking, one is discouraged from having cake for breakfast. For me however this has never been anything out of the ordinary. Growing up, I was often given a hunk of Italian Breakfast Cake for breakfast during the school holidays, or on a Sunday morning as a weekend treat. My father’s Nonna (my great-grandmother) often made this cake for him while he was living in her apartment in Durban during his high school years, and so he ensured that my younger brother and I got to experience the joys of having cake for breakfast too. The result of this simple recipe is a delicious, dense, lemony cake with a sugary crust perfect for dunking in black coffee or, as my family often does, drenching in Cointreau or Grappa. Instead of making the same old scones or pancakes for your next Sunday morning brunch, consider trying something new and whip up this cake to share with friends and family. Be prepared to have seconds. And thirds. Beat eggs and sugar on a medium speed until slightly foamy. Add a dash of vanilla essence and the grated lemon rind – mix in on a medium speed. Melt the butter with a little of the milk in a small pot on a low-to-medium heat, breaking the butter up and stirring slowly with a wooden spoon. Add the rest of the milk and stir until lukewarm. Add the milk mixture to the egg mixture whilst slowly stirring to mix. Sift the flour into the wet ingredients. 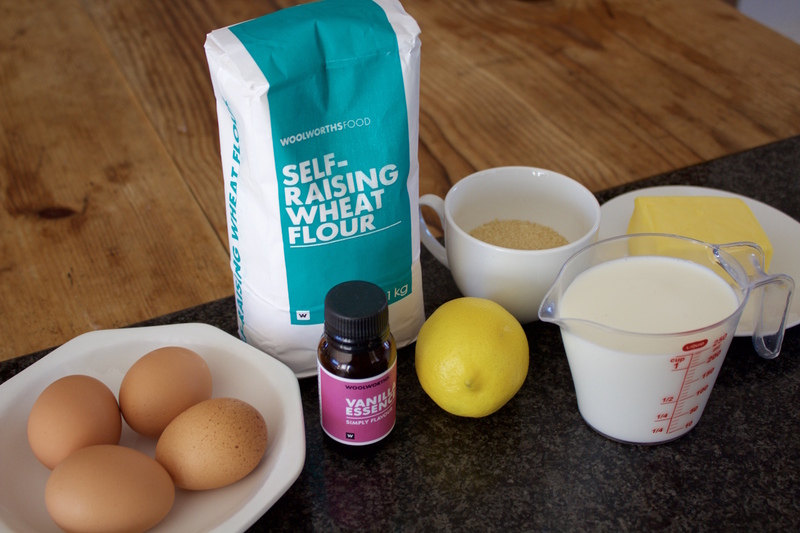 Fold carefully with a wooden spoon before mixing on a medium speed to avoid the flour flying out of the bowl. Mix well. 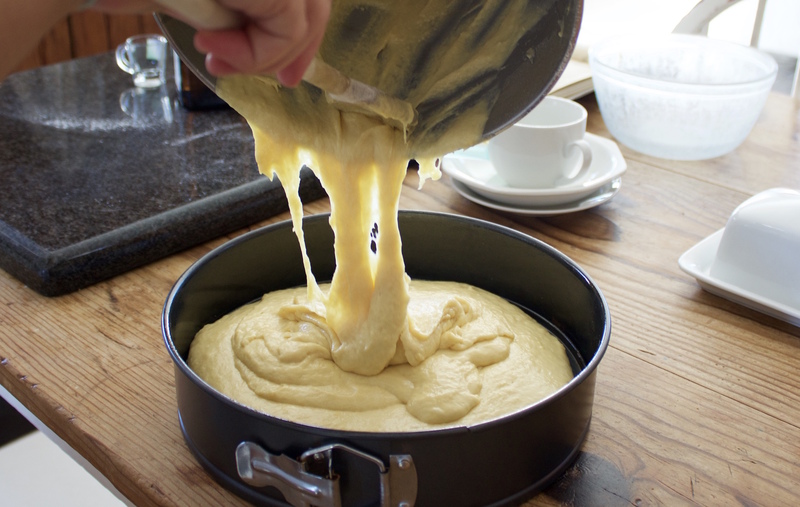 Once ingredients are well-incorporated, pour the mixture into the greased cake tin. Sprinkle some brown sugar over the mixture and bake at 180°C for 45-60 mins, or until the top of the cake is cracked and golden. Turn out onto a cooling rack and allow to cool fully before slicing. Finally, fire up your coffee percolator or machine so you can enjoy your breakfast cake with a dose of caffeine. Dunking is encouraged.